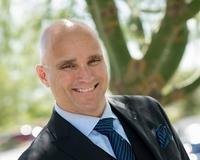 I have been helping buyers buy and sellers sell for 20 years in the arizona market. I am truly thankful that my clients and I continue to stay in contact over the years. In fact, I have helped many of my past clients make money when it was time to sell. Leo and Patti called me several years ago, looking for a second home in the Valley (they are from Canada) I was able to help them purchase this home for $60,000 back in 2012. They called me on Christmas Eve and my schedule allowed me to connect with them, show them the home, get the contract written and submittted. We closed in early Feb 2013. They reached out again late 20118, wanting to Sell their Chandler Home in the new year (2019). I reviewed the comparable sales, estimated their value and got them on the market and ready to sell in January 2019. Within 7 days, we received a full price offer on their home for Sale and went under contract. When you take care of your clients, they take care of you. Don't just list your house, sell it! Reach out to me today.